Keto is all about healthy fats and high quality ingredients. We’re lowering carb intake while increasing the fat we consume, forcing our bodies to use that fat for energy rather than the carbs it’s used to using. This means… weight loss! Have fun with it: make chicken pizza with a cauliflower crust to save tons of carbs, and be sure to download my free low carb meal plan while you’re here. Today we’re talking about chicken: how to use it in various ways, and different things to add to fit it into your keto lifestyle. Chicken is low fat so we need to spice it up a bit. We’re also going to talk about about using healthy fats so you can control your cholesterol – or at least not raise it – while saving money. Note: Chicken is lean so it’s important to make sure you’re cooking it in healthy fat or mixing it with higher fat in order to get your fat intake in. 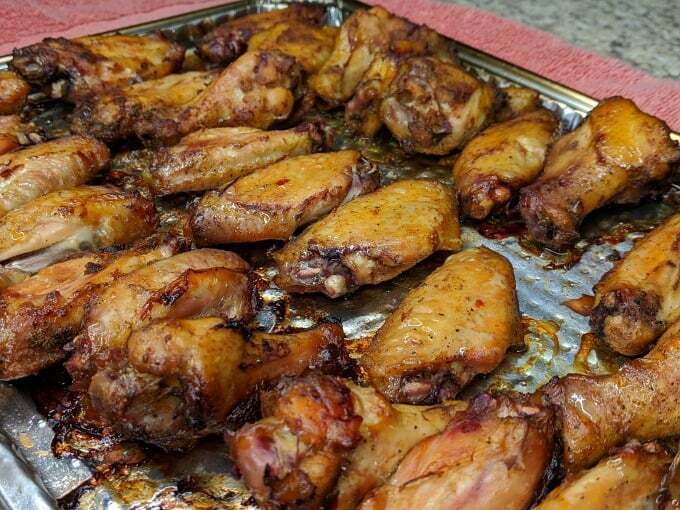 I love barbecue chicken, fried chicken, baked chicken….I am sure you get the point. But doing keto, the bbq sauce is sweet and loaded with sugar – which equals carbs which we are trying to stay away from. I have had to find different ways to make chicken recipes keto friendly. The way we are used to cooking chicken has to change a bit if we want to keep it healthy and keto. So we change oils, modify our rubs, and learn to make our own sauces. If you are like me, any time is barbecue time! But when doing keto, we have to watch the sauce and the rubs so we don’t get too many carbs. I use this barbecue sauce that you are sure to love and is only 2 carbs. I use it on pulled pork, chicken, and even as a steak sauce. You can adjust the amounts of the peppers to heat it up a bit or lessen the heat if you desire. Cooking is all about experimenting and having fun. If you like it hot, add more heat: cayenne pepper, habaneros, you name it, you can add it to your sauce. I recommend using a powdered form of peppers to keep it smooth. If you like it sweet, use a sugar-free sweetener. You don’t want to add carbs to your creation. I didn’t use a sweetener at all and still enjoyed the sauce, so adding a sweetener is totally optional. 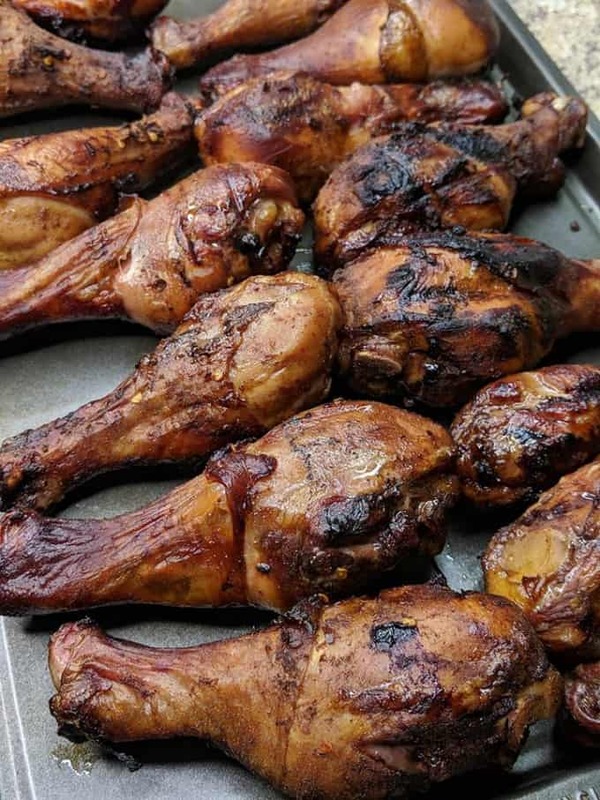 We grilled these chicken legs and they were so tasty they didn’t need any sauce! You can make your own rub recipe or use the one we did. I use this rub on just about everything. I put it on chicken on the grill and in the oven. I love this rub, but I have been known to change it up. To change the taste a bit, I change the sweetener or remove it all together. Keto is known for being an expensive diet, but it doesn’t have to be. Yes, the best cuts of meat and non-GMO ingredients are going to cost more, but they’re also going to keep you full for longer periods of time. If you’ve noticed your grocery bill climbing, there are ways to help curb those costs. I like to use chicken, and though it’s low fat, I cook it in coconut oil to raise the fat content. Buy a whole chicken instead of buying it in parts – and use every piece! You can buy whole chickens at warehouse stores like Costco and Sam’s Club. 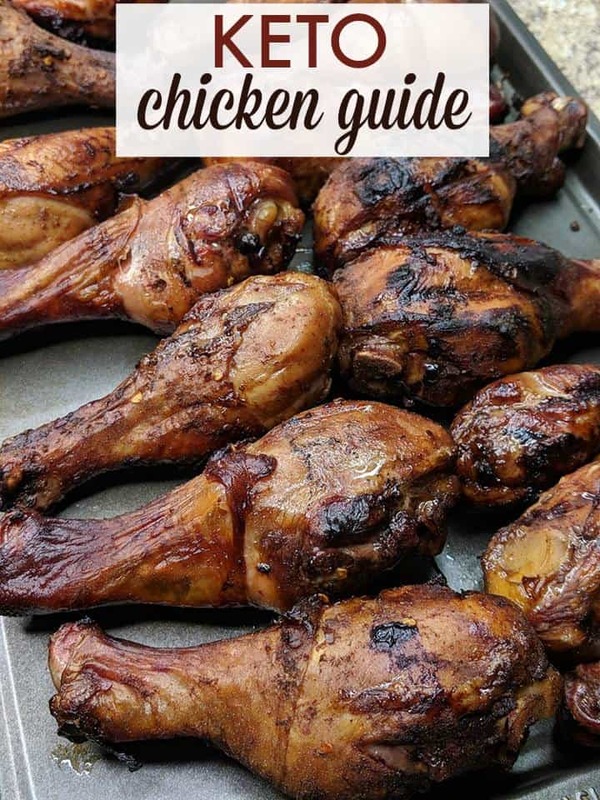 Keto recipes call for using the fattier parts like chicken legs and thighs, but you can use the rest of the chicken and save some money. Cook your chicken breast in healthy fats (like coconut oil) to keep the fat content high enough to keep you satisfied. Instead of eating bacon wrapped everything, use healthy fats so you can sustain the diet longer and achieve the results you are looking for. Use coconut oil, ghee, or grass-fed butter to increase your fat intake. I also like to snack on olives and avocados, which also contain a high amount of good fats. These keep me fuller for longer, and are better in the long run as they don’t increase the cholesterol in your arteries. Avocados are high in monounsaturated fat – which is one of the good fats. It’s a fat that helps lower bad cholesterol (as long as it’s eaten in moderation). Nuts, nut butters, chia seeds, hemp seeds, eggs, and fatty fish are all satisfying sources of healthy fats that will help you along your keto journey. 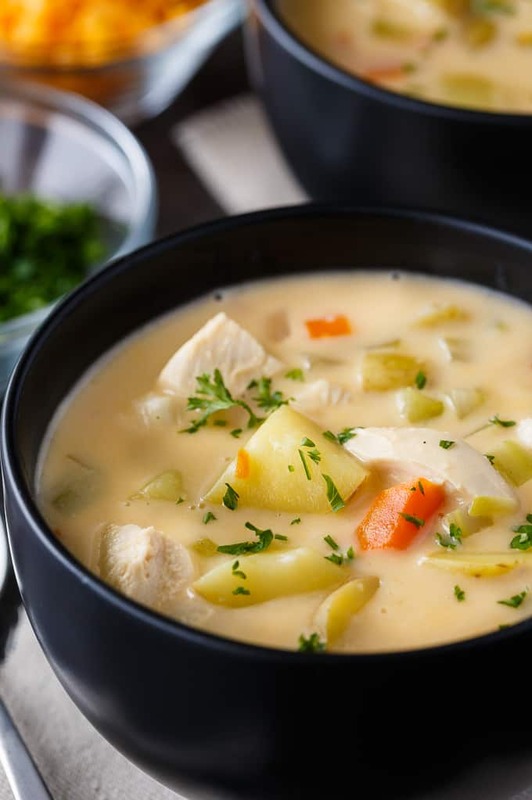 Cheesy Chicken Chowder – Omit the potatoes and flour to keep it keto. 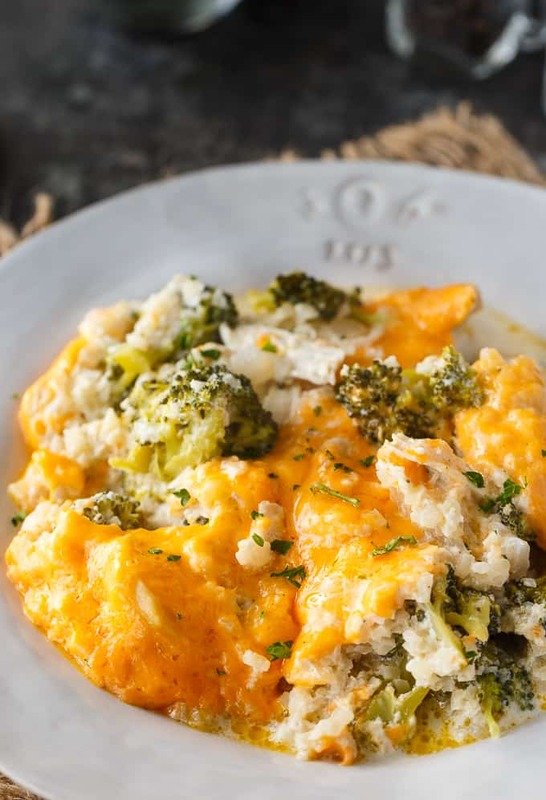 Low Carb Chicken Divan – Delicious, on a bed of cauliflower rice. Cajun Stuffed Chicken – Rub with coconut oil or olive oil, stuff with thick cuts of cheese. Chicken Stuffed Jalapenos – Perfect for Game Day. Cheesy Mexican Chicken Skillet – Can’t go wrong with cheese. Chicken Baked Fajitas – Two ways to serve these yummy fajitas. Low Carb Chicken Casserole – Casseroles make life easy.